This recap was written by our tremendous sidekick, Katie Fatiga, who continues to slay. It has been a year since Aileana Kameron witnessed the death of her mother at the hands of a brutal Baobhan Sith (a solitary female faery). Since then, she has been haunted by the memories of the event. Aileana is trying to keep it together, trying to be a dutiful daughter, trying to take back her status in society after last year’s event. But the only way she has found to numb the pain is through the systematic murder of every faery she comes in contact with. It’s been a long year. Unfortunately, it seems as though things are only destined to get worse. The fae folk are multiplying at an alarming rate, and it appears as though the seal that has kept them at bay, locked in an underground prison for hundreds of years is about to break wide open! Luckily Aileana has some help. With the aid of a rogue faery (Kiaran), a sassy pixie (Derek) and her unintentionally betrothed Gavin (a Seer) the seal is located. And with much effort the wheels are turned to begin the resealing of the faery mounds. Sadly though, by sealing the mounds, Aileana will also be forced to seal Kiaran back under the ground. She almost completes the task but at the last moment, Lonrach, a powerful faery escaped from the mound throws Kiaran at Aileana’s protective force field. Kiaran’s face is mutilated, he may be dead, but Lonrach warns that he will heal and Aileana may not like the outcome. CLIFFHANGER!! Aileana is attending another society function with her best friend Catherine. And while it should be a lovely event complete with dancing and handsome young bachelors, Aileana cannot get the images of another such event out of her mind. You see, almost a year ago, Aileana’s mother was murdered at a ball just like this one. Aileana’s debut in society was marred by that murder and the elite of Edinburgh cannot stop talking about her, and not in a good way. Catherine and her mother have asked Aileana to stay out of trouble at tonight’s ball, but trouble seems to find Aileana wherever she goes. After another dance, with yet another boring suitor, Aileana is sidetracked by the smell of a faery. Apparently, faeries trigger a series of distinct tastes/smells to the senses of trained faery hunters, Seers, and those who wear the seilgflur (a thistle which gifts the wearer with the sight). Aileana locates the faery sucking the life force out of the eldery host of the party and disposes of it. She then saves the life of the gentleman victim (using a stitching kit, did I mention this setting is vaguely steampunky? No? It is. Lots of gadgets, gears and gizmos to come). Aileana returns home where her bff, a honey-lovin’ pixie named Derek waits with news of her mother’s murderer (a Baobhan Sith named Sorcha). She is on a murderous rampage, killing at least 2 to 3 people a night and on her way back to Edinburgh. Aileana heads out of her room through the secret passage she helped construct into the wall and meets Kiaran MacKay(a rogue Daoine Sith, super-powerful, super-stoic & super-hot faery) for an evening lesson in faery hunting. For unknown reasons, Kiaran saved Aileana after her mother’s death and has been training her in the intricacies of faery murder ever since. The two run into a group of huge redcap faeries, finally taking them down, but also destroying an entire bridge when Aileana uses one of her many faery hunting inventions. Aileana realizes that there are an excessive amount of faeries hanging around Edinburgh. Kiaran lets the cat out the bag that the seal set in place hundreds of years ago to trap the baddest faeries underground in prison-like mounds is loosening and will be totally obsolete by the lunar eclipse in about 6 days! Turns out the only person who could possibly save the world is Aileana (duh)! She is a Falconer. She comes from a long line of people with the power to trap and/or destroy faeries and only she can find the seal and reset it. But there is still the matter of trying to keep up illusions and perform her duties as 19th century Scottish girl. Parties await, husbands must be wooed, you know normal stuff. So during a ball given in the honor of Catherine’s returning brother Gavin, Aileana is followed by a group of Cu Sith (faery hounds). Gavin sees & hears them first (turns out he is gifted with the power of a Seer & can both see the faeries without the power of the thistle but also has visions of the future, not so great as it sounds). Aileana uses her last thistle to destroy a hound and the two run off into the rainy night. Obviously they are followed but take to the air in Aileana’s orinthopter (flying car). Too bad there are also Sluag (dragon-like faeries) after them. The two are able to work together to stave off the faery onslaught and Aileana returns home exhausted. The next morning she is called on by Kiaran who divulges some additional information about being a Falconer but hastily leaves to retrieve a medical kit once he realizes that Aileana has been poisoned by barbs from the Cu Sith’s paws. Aileana’s absent father returns and informs Aileana that someone saw her returning late last night in a compromising position with Gavin. To avoid a scandal, Gavin has offered his hand in marriage. They are to be wed in a fortnight. Aileana is obviously heartbroken. Kiaran returns that night to fix Aileana’s wounds. The two share a brief intimate moment, and Aileana almost sees some emotional qualities behind his usual stony presence (he had once loved another human, a falconer like her, but lost her. He also had once been known as Kadamach, one of the most ruthless faeries in the world). The eclipse is approaching and Aileana must find the seal. They locate it near Queen’s park but its combination of gears and symbols must be rearranged into a precise configuration on the day of the eclipse so Aileana memorizes the current combination and rewrites it into her notes to study for later. Kiaran treats Aileana to one last moment of fun before the potential end of world and two travel into the faery realm. On their way back, however they are interrupted by Sorcha, the Baobhan Sith who killed her mother. Sorcha reveals that she can use Aileana’s trauma to control her mind recall the horrible night of her mother’s death over and over again. But this also triggers all of Aileana’s rage and she almost kills Sorcha, but not before Kiaran intervenes. Aileana is obviously pissed that she did not get the chance to kill her mother’s murderer but Kiaran reveals that if she were to kill Sorcha, Kiaran too would die. Double bummer, the original faery who set the seal is Kiaran’s sister and the only way to save her from being re-imprisoned in the mound is for Kiaran to take her place. 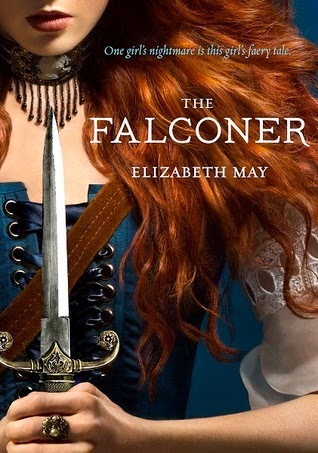 When we will be able to see the Falconer as a movie?